The amount of scholarship is 4250€, additionally an amount of return ticket will be reimbursed (approx. 275€). The candidates’ files may be submitted to the International Relations Officer of the Faculty CIM in the period 17 to 25 September 2018. 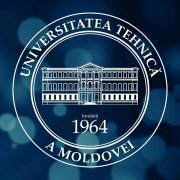 Selection of candidates for mobility will be conducted by the Selection Committee at the following address: within the International Relations Department, TUM, 168 Ștefan cel Mare str., room 203). The submitted files will contain documents in English only. The final results of the selection of candidates will be announced by the Aalborg University, Denmark.